Pellet grills are becoming the most popular grill because grill masters are demanding more than the traditional messy charcoal grill and lugging around propane tanks. Grilling is an art form and everyone has their own techniques and preferences, but for many they are ditching their old methods and turning to Wood Pellet Grills. Wood Pellet Grills have been around for over 20 years but they have just become popular over the past couple of years. Why does everyone love wood pellet grills? The main reasons are they are less messy, all electric, and can both smoke meats and grill meats with one grill. 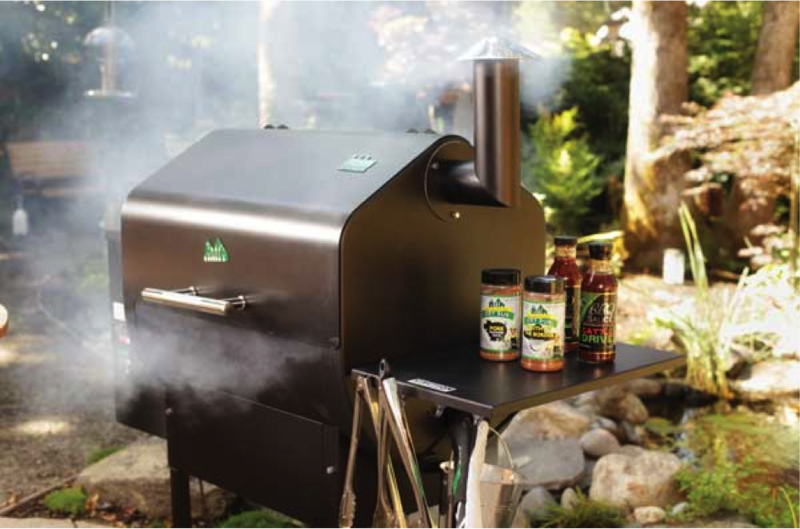 Wood pellet grills eliminate the need for lighters, charcoal, lighter fluids, and gas. Unlike traditional charcoal grills that take up to a half hour to heat up, pellet grills can be ready to grill on within several minutes. 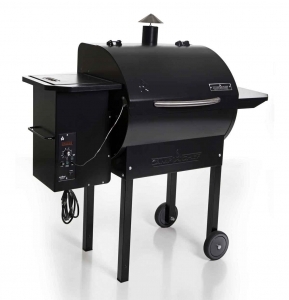 Although you can heat up a propane grill rather quickly also, you cannot get a rich wood smoky flavored meat like when you cook on a wood pellet grill. .
Wood pellet grills are so simple to operate and are considered set and forget grills. Running off 110v electricity, you adjust the desired temperature, insert your meat probe into your meat, and walk away. Wood pellet grills come equipped with digital controllers that automatically keep your desired cooking temperature consistent by automatically adding or subtracting the amount of pellets being burned. This means it keeps the exact cooking temperature you desire throughout your cook. No worrying about adding more charcoal or adjusting your propane levels. Wood pellet grills also work by cooking with indirect flame which means your meats don’t shrink or burn from direct flames as with traditional grills. 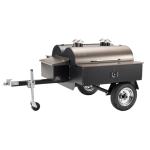 But the number one reason people love wood pellet grills is you can “smoke” your meats and get fall off the bone ribs and briskets like when going to your favorite barbecue joint. Smoking is accomplished by cooking at lower temperatures and most wood pellet grills have a smoke setting where the temperature remains under 200 degrees. Pellet grills are so easy to use that we all can make those smoked briskets and pulled porks in our own backyard. Pellet grills are fueled by small wood pellets that look like pill capsules. They are cheap to buy and are sold in a wide variety of wood flavors in order to provide unique smoke and flavor to your favorite meat. Some of the wood pellets you can purchase are hickory, apple, maple, cherry, mesquite, and peach just to name a few. Each wood will give your food a different smoke and taste. For the above reasons it is simple to see why people are making the switch to wood pellet grills. 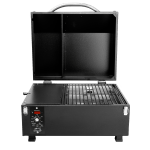 Not only are pellet grills efficient, easy to use, and flavorful, they are also cost effective and increase your backyard grilling to smoking your favorite meats.